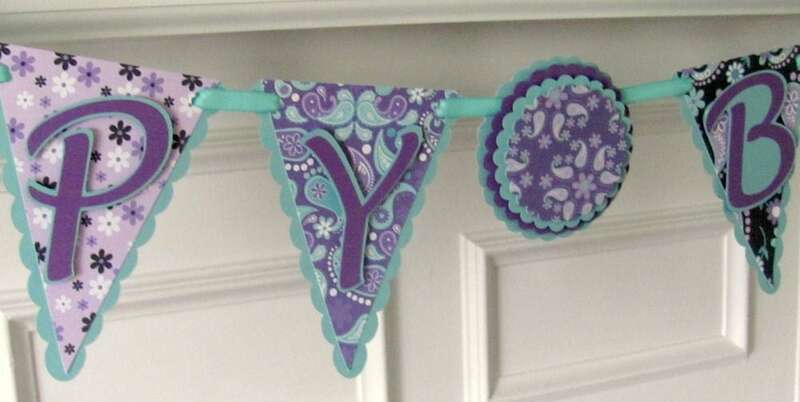 This listing is for a beautiful purple and aqua paisley birthday banner in a scalloped pennant style. 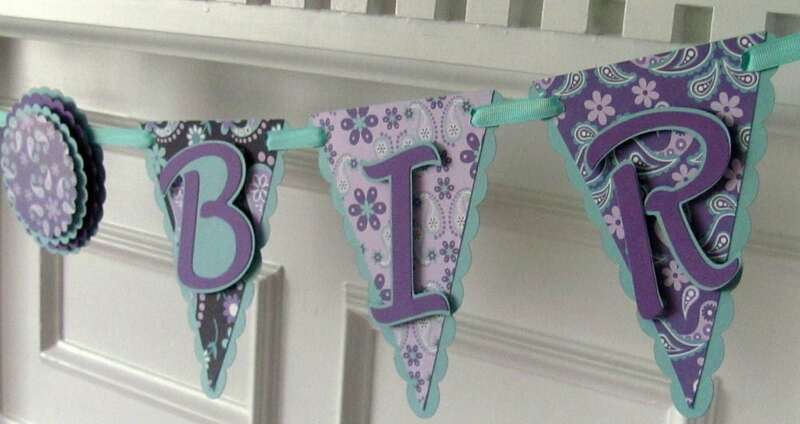 Pennants are 41/2" wide and letters have been done in aqua and purple and are raised for a 2-D effect. 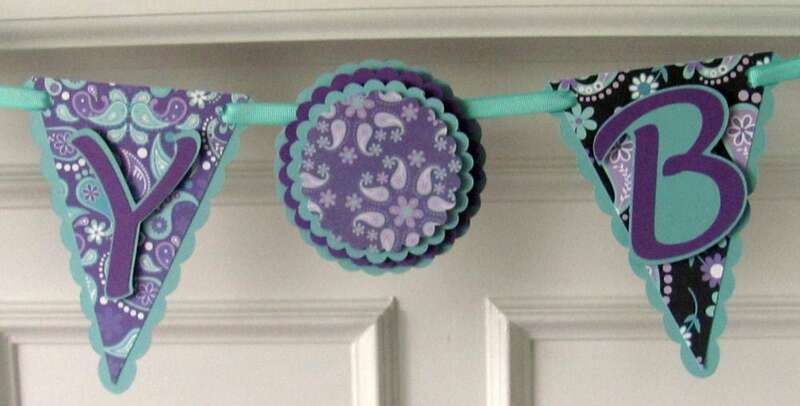 Banner is strung with pretty aqua grosgrain ribbon. 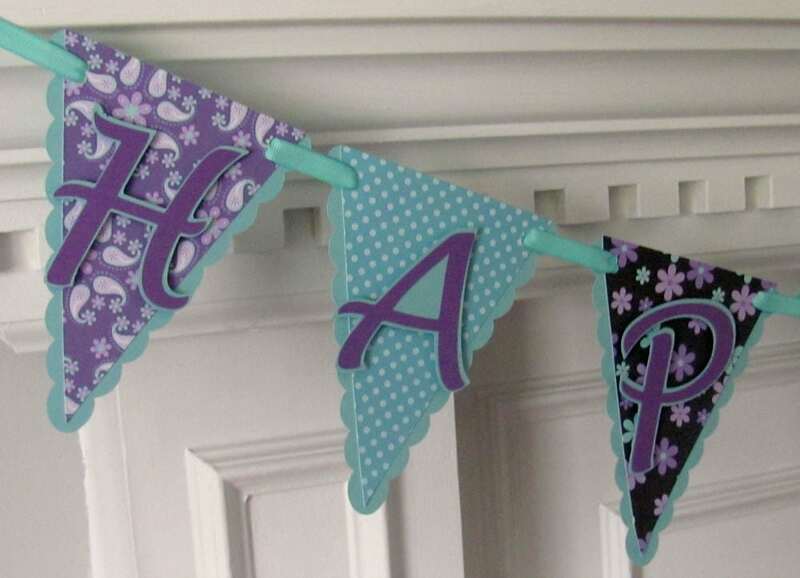 Banner may read simply happy birthday or you may also add the age -Happy 1st Birthday, etc. Please indicate in notes to seller the age if desired. A second banner with the birthday honoree's name may be purchased for an additional $10.00. If purchasing name banner please indicate in notes the name.